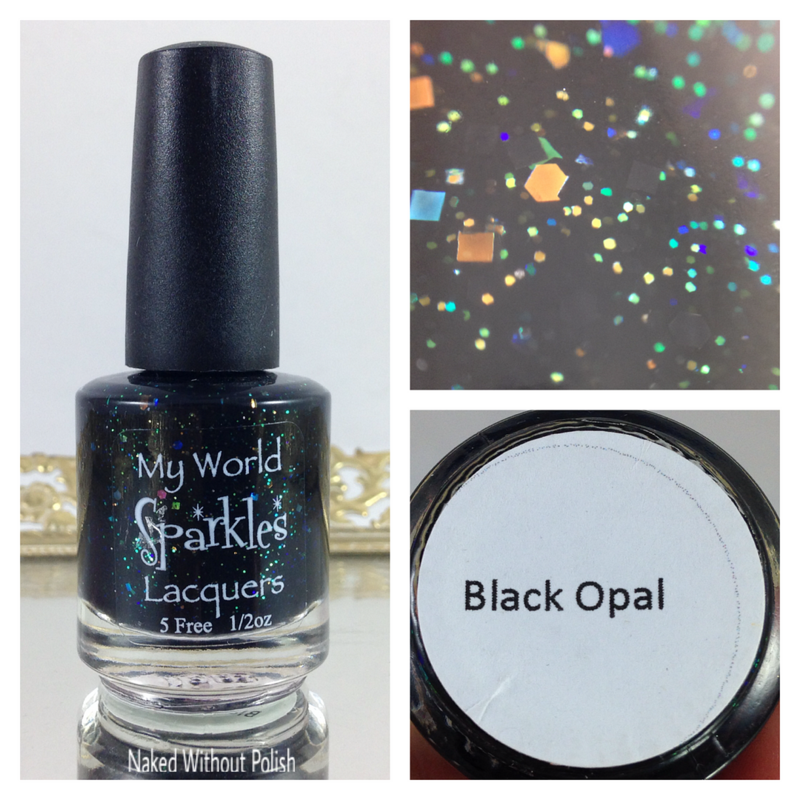 Today, I've got some new goodies from My World Sparkles Lacquers. Every month, she releases a new scent of Pamper Gem. This month's scent is lavender, but you'll hear more on that later in the post. She has also released a new polish called Black Opal that is a part of her Jewel Box Collection. Both of these are fantastic, and I can't wait to show them to you! 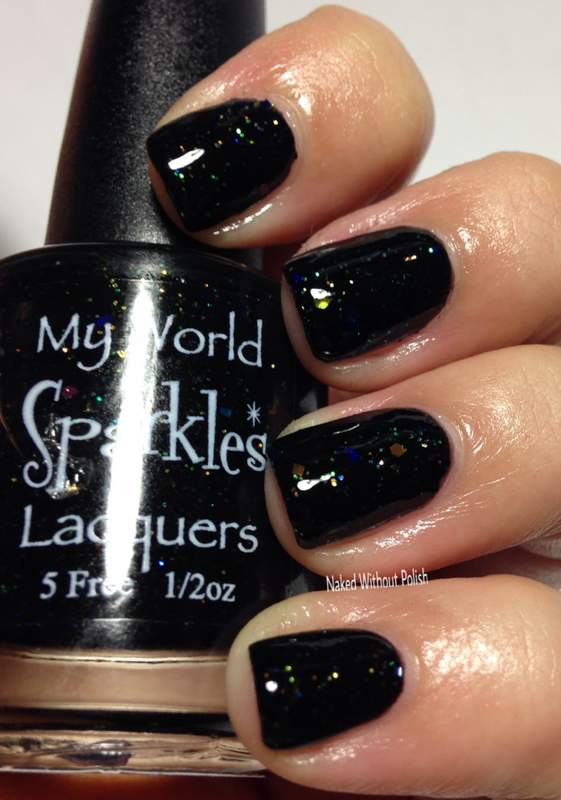 My World Sparkles Lacquers may be new on my radar, but so far I've been highly impressed. I hope you all fall in love with this brand as I have. 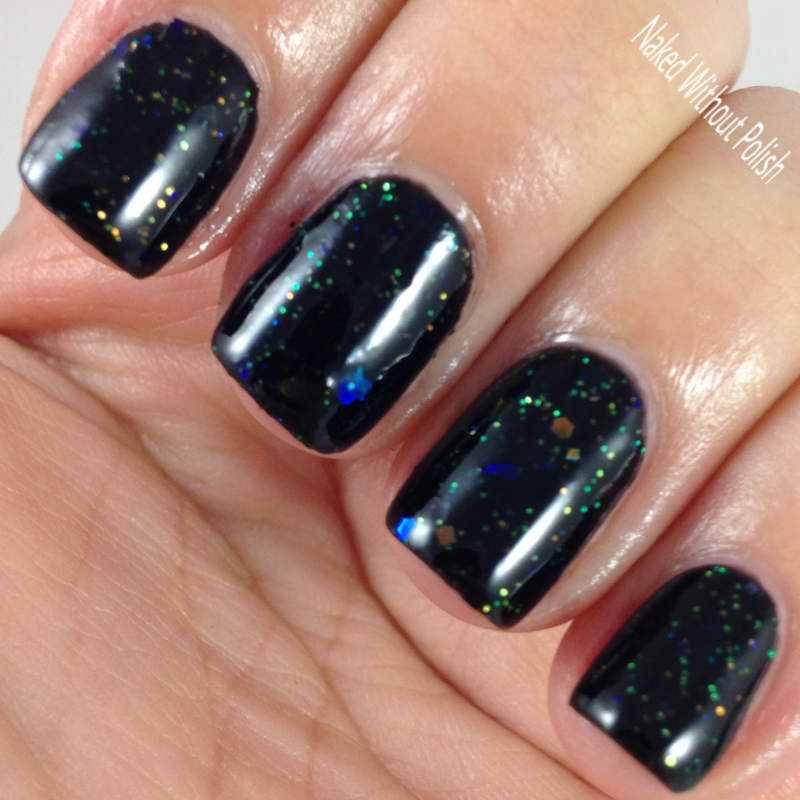 Black Opal is described as "a semi translucent black with lots of opalescent glitters to add extra sparkle". Shown is two coats of Black Opal with top coat. 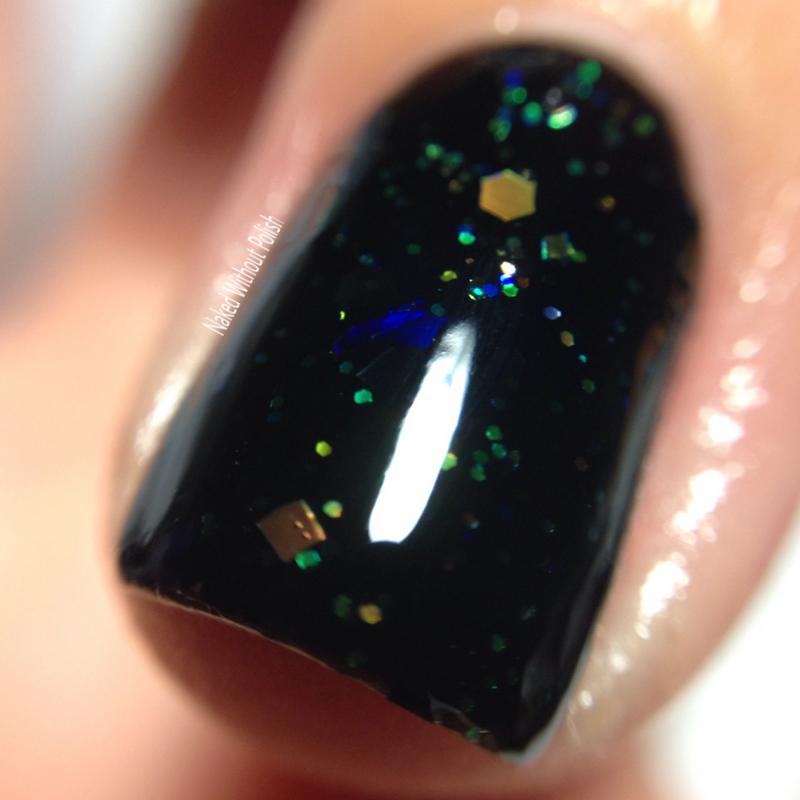 Black Opal may be described as translucent, but this beauty was opaque in two coats. Perfect application from a stunning formula. It's no secret that I enjoy a dark, black polish. For me, if a maker can do an amazing black, they can do just about anything. Most of my favorite indie brands are ones I fell in love with as soon as I tried one of their black polishes. This is no exception to that theory. I love that the glitters aren't in your face. They make you work, but they also don't run and hide either. Great as a full manicure, an accent nail, or even a base for some nail art. 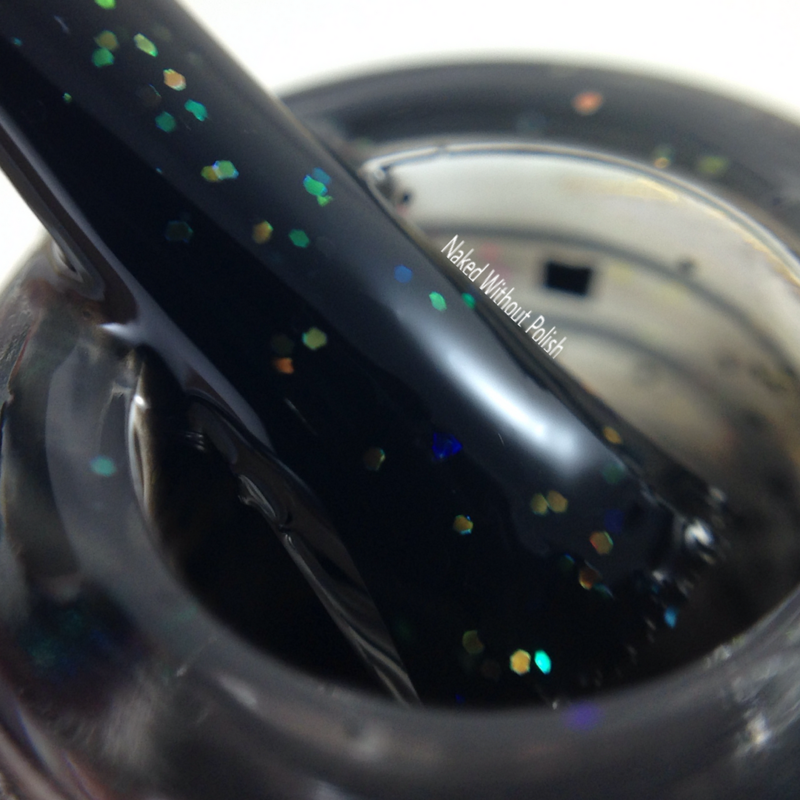 Black Opal is available now for $5, but is usually $8 (that is the base price for all her polishes). She has a sale going on right now. Several others are marked down to $5 as well. The sale items will be that price all month. Definitely worth a peek! 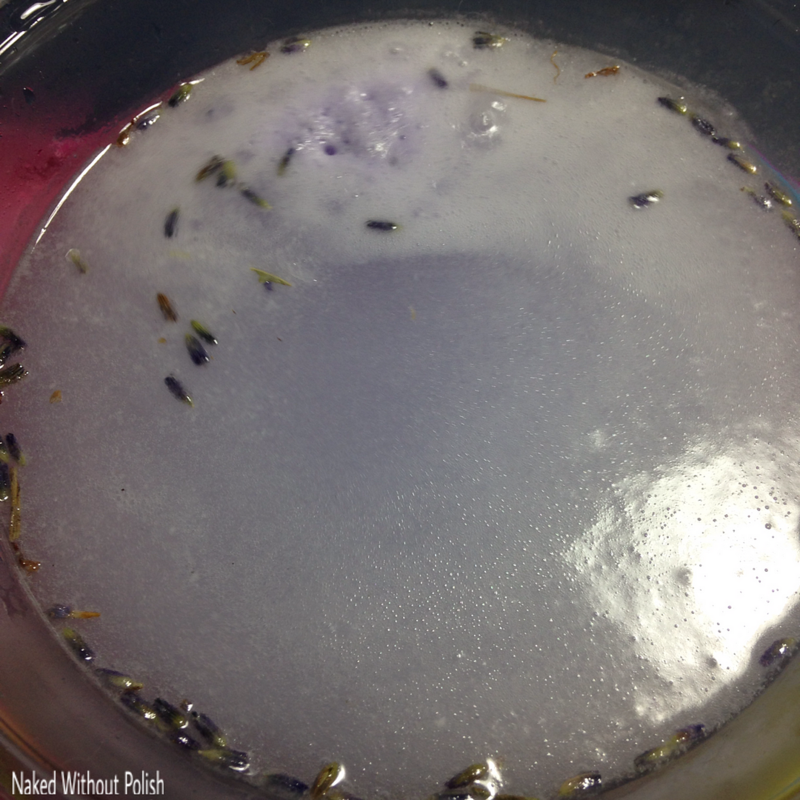 On January 1st, My World Sparkles Lacquers released a lavender scented Pamper Gem. Every month she will release a new scent. Last month I reviewed her December scent, peppermint, and she still has a few left that are marked down to $1 each. I loved the peppermint and definitely recommend you get it while you still can. 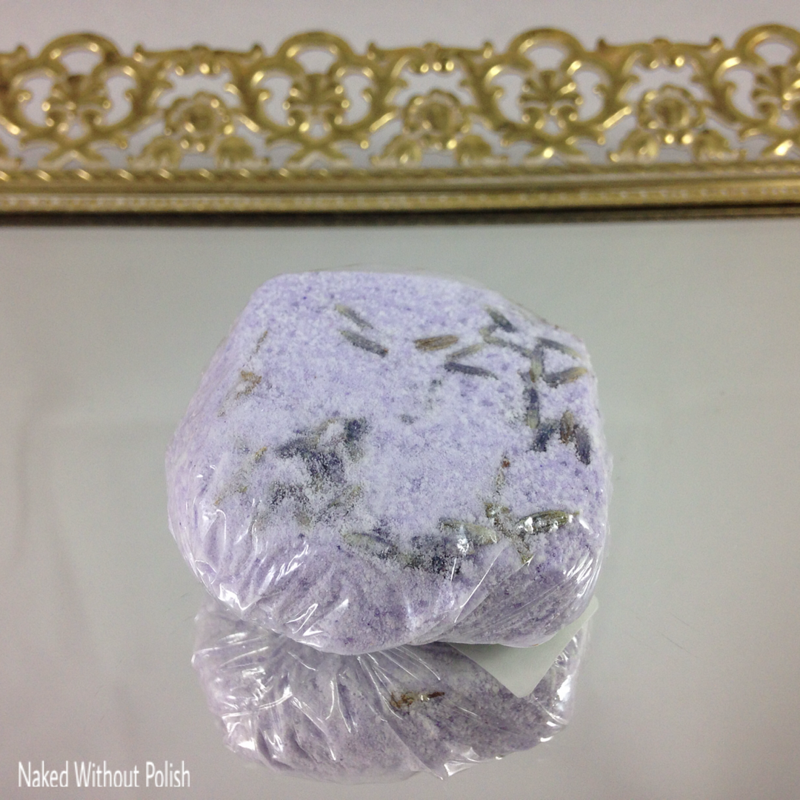 The lavender Pamper Gem had such a soothing smell. I found myself extremely relaxed while using this mani. I might have even almost dozed off. I would definitely recommend you use this one before bed, or if you are having a hard time sleeping. This would be extremely helpful. The Pamper Gems are available now for $1.50 (1), $2.50 (2), and $3.75 (3). 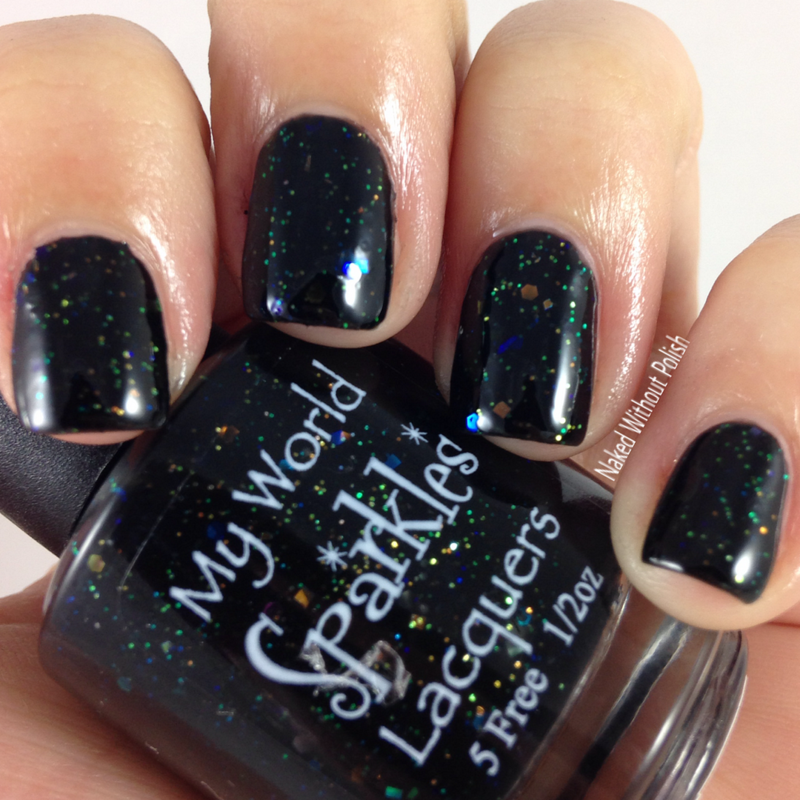 My World Sparkles Lacquers is definitely a brand you need to keep your eye on. Everything I've used from her is beautiful and well made. Her products are priced on point. She also sells more than just polish and fizzies so browse around. Make sure you follow My World Sparkles Lacquers on all her social media platforms (links below) for news, updates, sales, and releases. Also, make sure you sign up for her newsletter to receive all this info before anyone else!